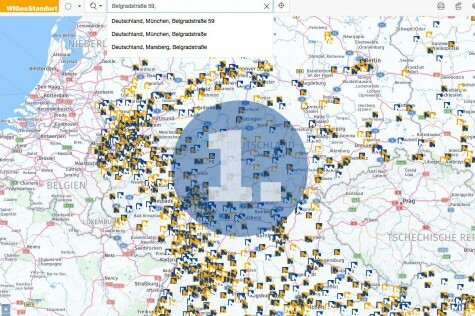 WIGeoStandort is an intuitive WebGIS location analysis software. 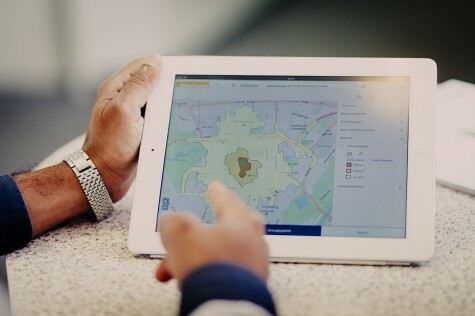 You receive comprehensive individual location analyses and reports for the retail and real estate sector in just 3 minutes. Your own company data can be easily integrated. 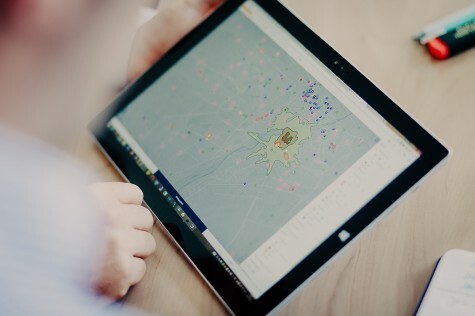 The location analysis software is ideal for branch network experts who want to evaluate real estate offers and their location quality ad hoc. 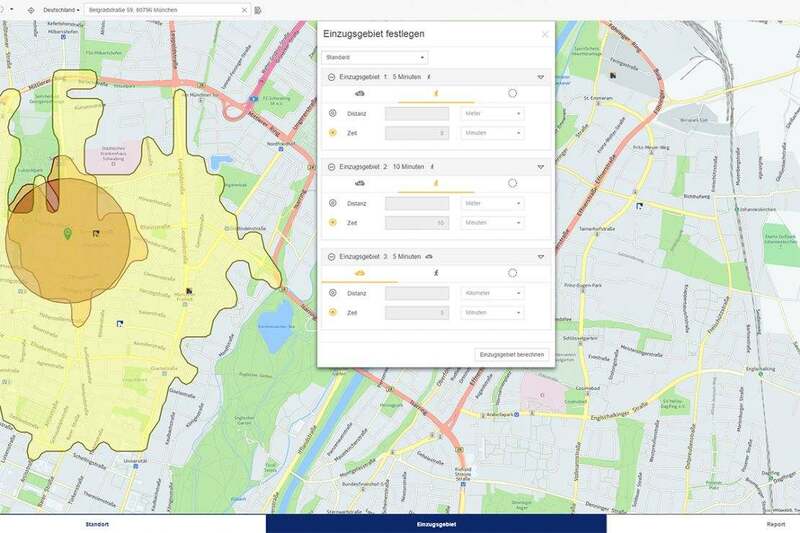 WIGeoStandort is a web-based geographic information system for location analysis and assessment. The software makes it possible to analyze a location very quickly and easily. The WebGIS software guides you through a complete location analysis in three easy steps. It allows you to assess the potential of a location and its environment based on your individual location factors. The results help you to quickly evaluate real estate offers and the quality of their location. When these steps are finished, WIGeoLocation automatically generates a clear and comprehensive report that is provided as a Word, Excel or PDF file. The analysis takes a maximum of 3 minutes for each location. 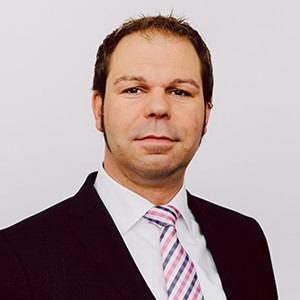 WIGeoLocation is the ideal location analysis software for brick and mortar retailers, banks and financial institutions, system catering, franchise systems and all chain stores. Video: Location Analysis Software for Retail, Real Estate & Retail Networks - WIGeoLocation - it`s that easy! Request test account for WIGeoLocation now! The 3-step analysis takes you from address search to a complete location report in just 3 minutes. Enter the location by clicking on the map, via GPS or via the address search field. 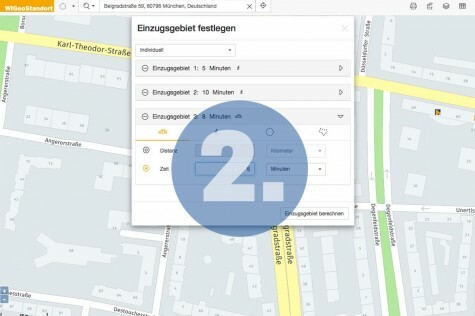 WIGeoLocation has a search logic that automatically completes addresses or corrects misspelled addresses as you type them into the search field. Define the catchment area. You can choose between a variety of catchment areas or a combination of catchment areas, such as within 10 minutes by car, within 5 minutes by foot or 1 kilometer as the crow flies. You can define the catchment areas based on your specific needs. In the last step, you simply select the desired report and output format. The program immediately begins a variety of complex, standardized analyses based on the configuration of models and data you have selected. Moments later the report is generated. You can choose to have the report sent to you by e-mail or you can download it directly. Knowledge of the environment determines the success of the location, because factors such as purchasing power, competitors, footfall generators, etc. can not be influenced. 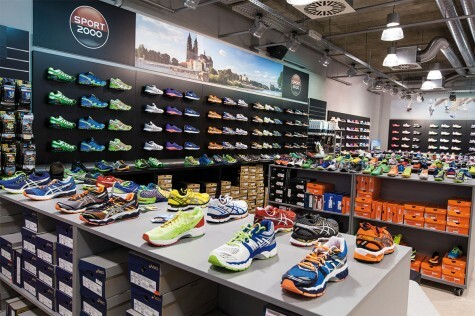 On the other hand, factors such as shopfitting, display windows and category management are easier to control. Thus, a comprehensive evaluation of all the relevant information about the environment is essential. 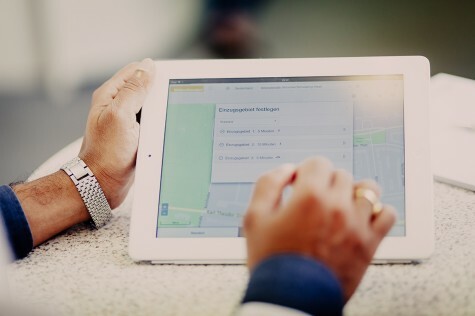 WIGeoLocation is optimized for tablets, making it easy to collect and verify data in the field. 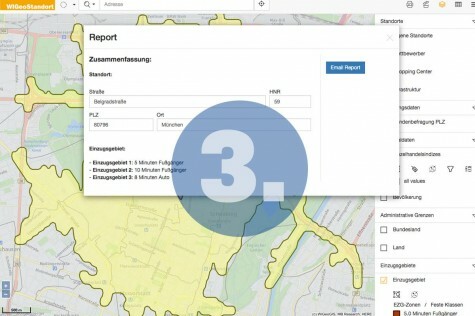 WIGeoLocation can generate location reports in 3 easy steps and just 3 minutes. The calculation of the relevant KPIs occurs in the background and is automatically compiled for each location. You can then download the reports or have them sent to you by email. Thus, your employees are able to evaluate the locations without any training. You can evaluate the real estate offers without having to make any unnecessary visits to the locations. This saves you travel time and still enables you to make confident decisions based on sound information. TRY WIGEOLOCATION ONE MONTH FOR FREE! The ANWR GROUP is one of the leading European trade cooperatives in the non-food sector. Approximately 6,000 independent member companies use the services offered by the cooperative group. This includes professional location analyses by using WIGeoLocation.